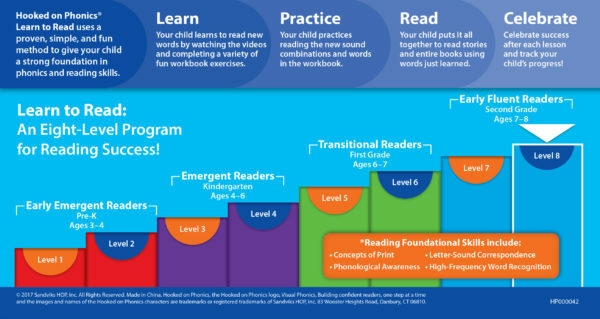 Designed to help your child learn the building blocks of reading, Learn to Read – Level 8: Early Fluent Readers covers: Level 7 Review, Vowel Teams, Diphthongs and Complex Consonant Blends, “wr-” and “kn-,” Soft “c” and “g,” Two-Syllable Words, and 18 New Sight Words. 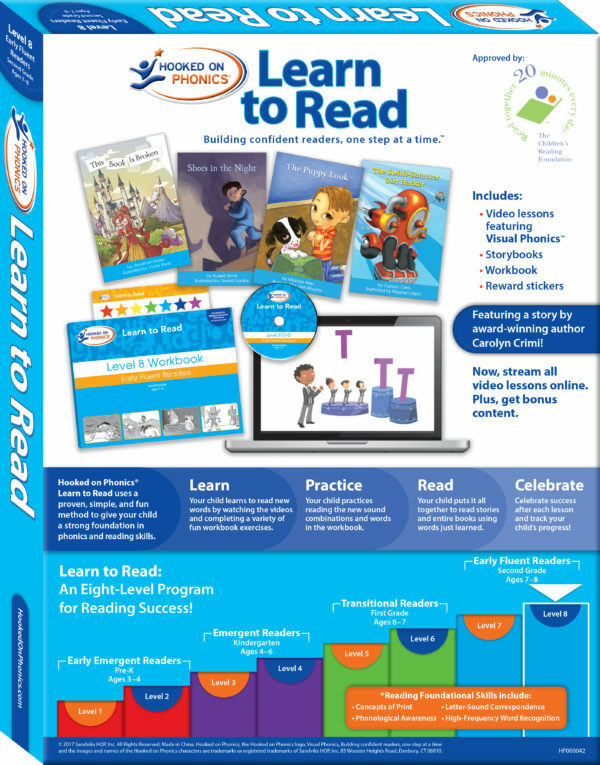 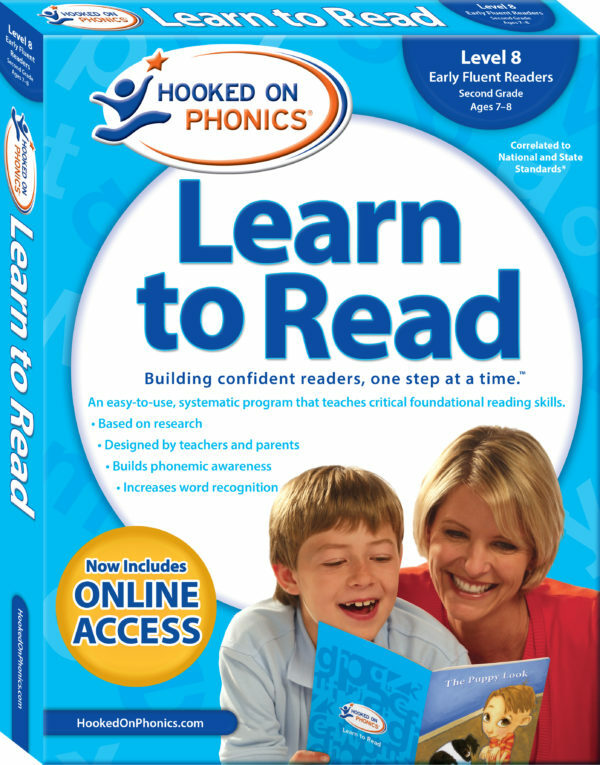 Hooked on Phonics® Learn to Read Level 8 is the second 2nd Grade level in the complete 8-level Learn to Read series. 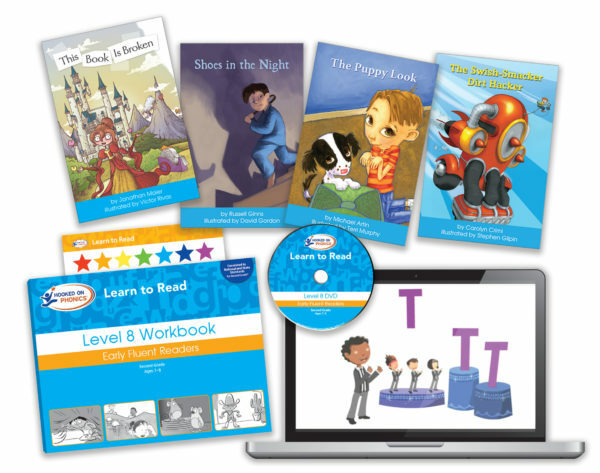 – Learn: Your child learns to read new words by watching the videos and reading the workbook.